Move over Elf on the Shelf, Silly McGilly is coming through! 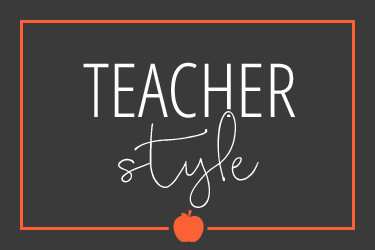 I am excited to share with you a fun little friend to liven up the classroom in the month of March. Silly McGilly loves visiting homes and classrooms during the St. Patrick's Days season. 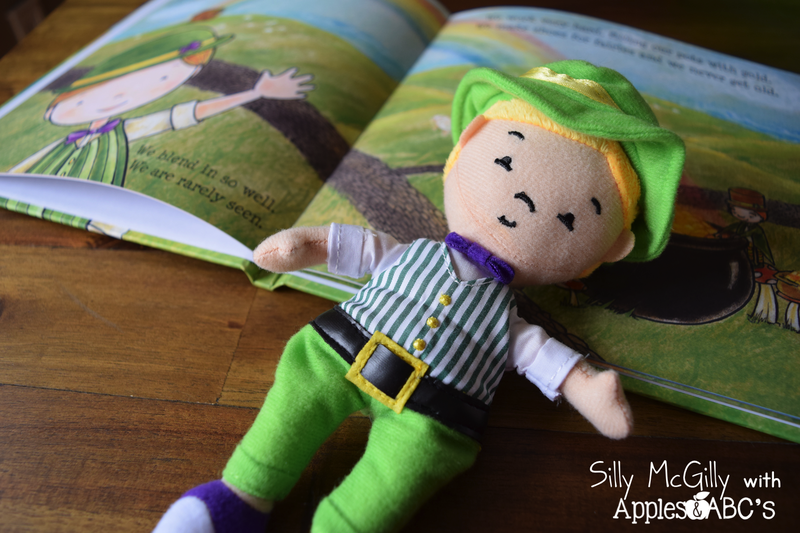 What I LOVE about Silly McGilly is he is a stuffed toy that comes with a book, you set him on the windowsill a night, and it invites the REAL leprechaun to come and play a trick as the kids are sleeping or away from school. 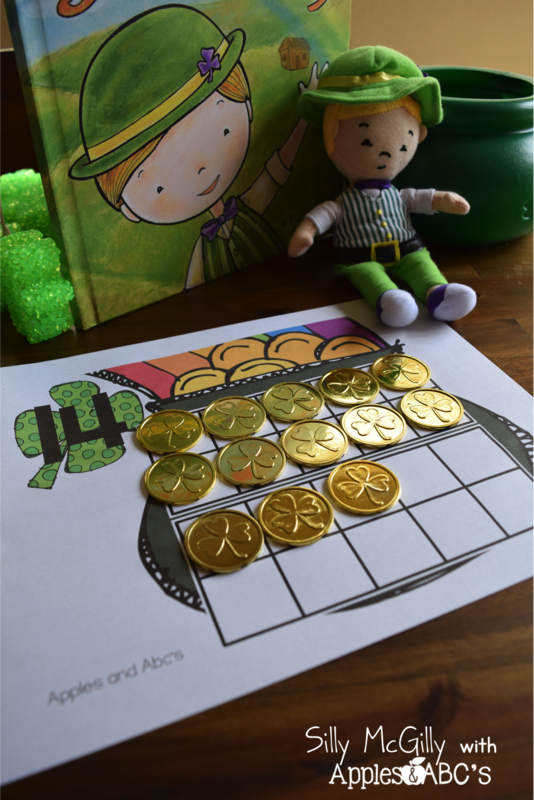 This gives me the freedom to pick how often a leprechaun will come and play some fun tricks in our classroom. Three Irish American sisters were inspired by their own children to create Silly McGilly. They were brought up to appreciate their Irish culture but they realized there wasn't a defining story or character for children to embrace, so Silly McGilly was born! 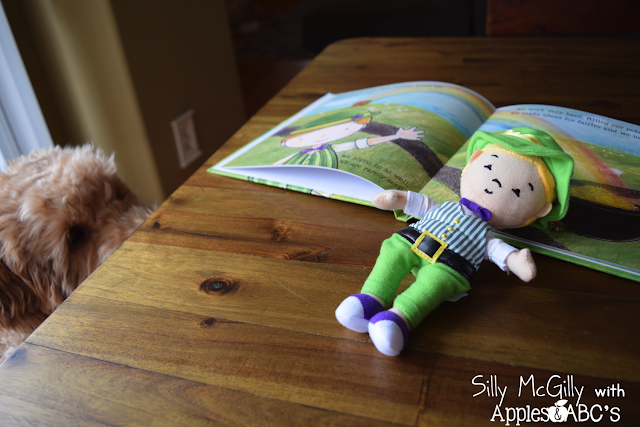 The book is an adorable story of the mischievous little leprechaun Silly McGilly. 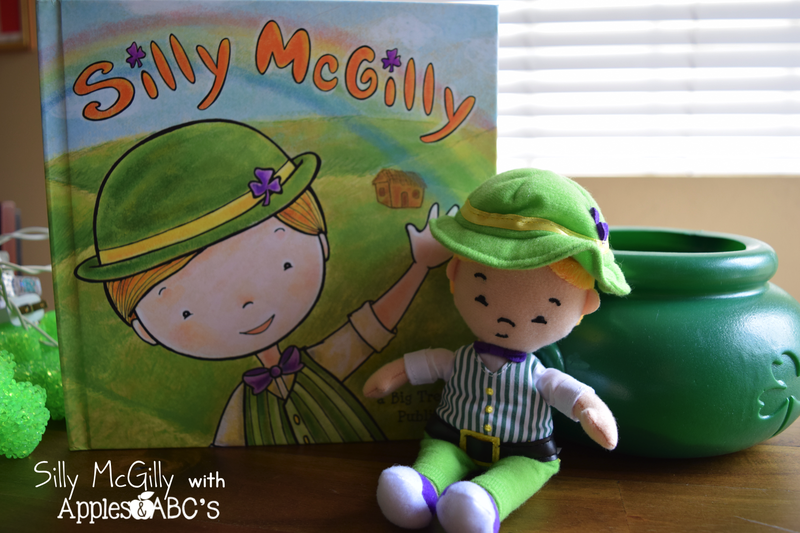 The illustrations are beautiful and it comes with an adorable stuffed toy of Silly McGilly himself! 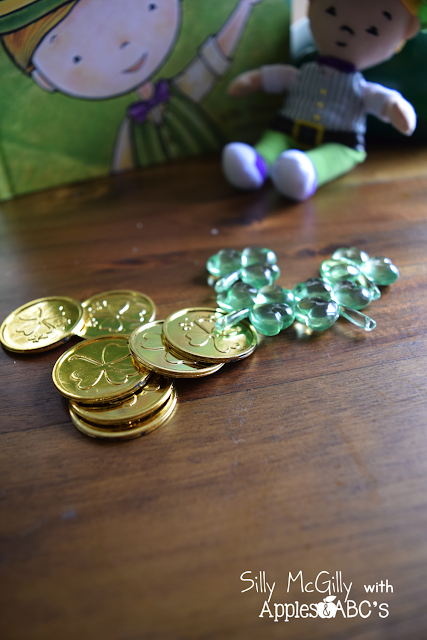 On the first visit, he will leave little shamrocks on all the students' desks! 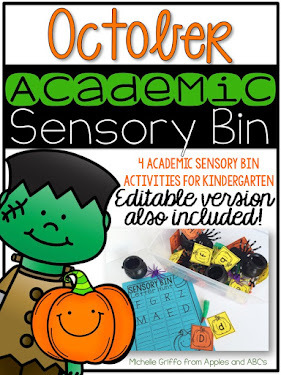 He is going to leave us counters and manipulative for our math bins and language arts sensory bin! 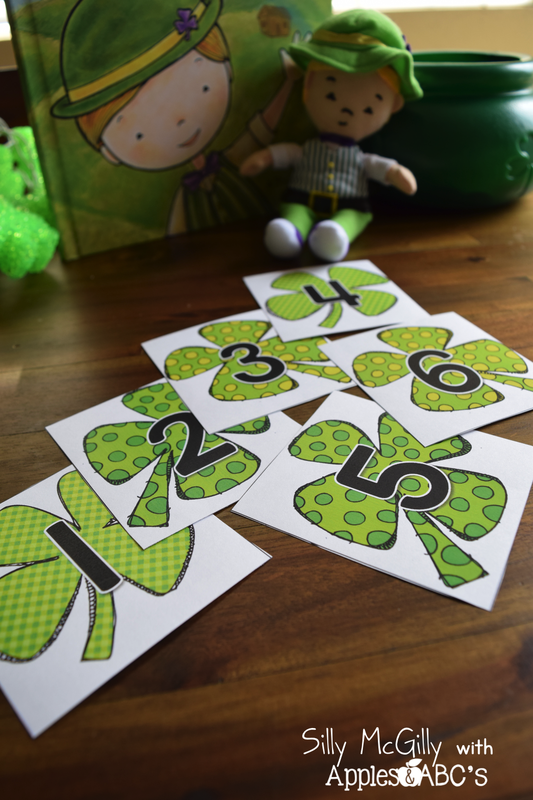 Silly McGilly will leave us shamrock number cards for us to practice putting the numbers in order and number recognition! 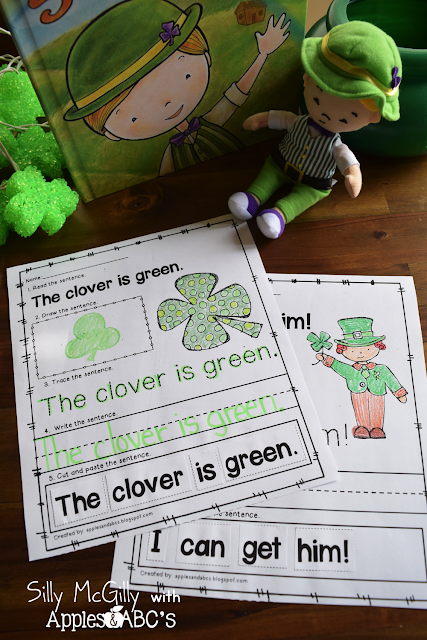 Then he will leave our class different St. Patrick's day sentence practice pages! 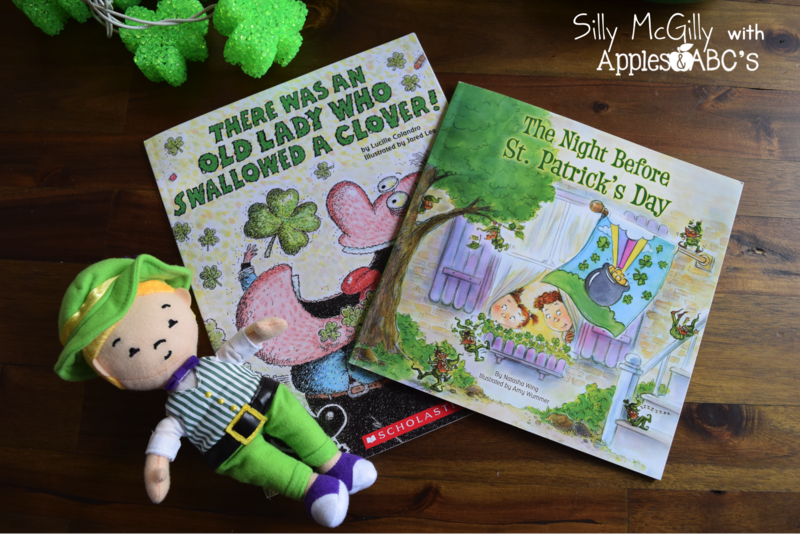 I have two different St. Patrick's Day books that the leprechaun will leave our class. 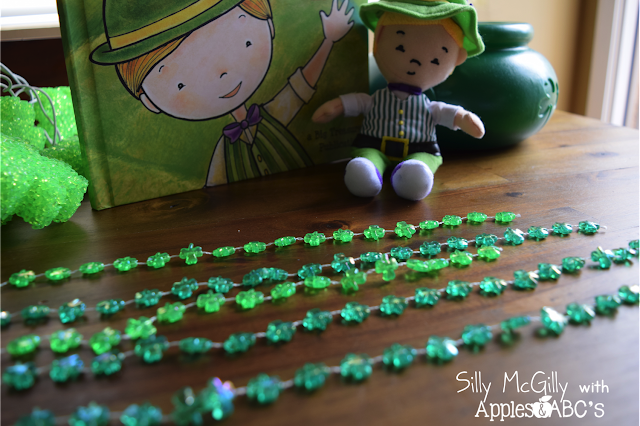 A fun activity to leave behind are these shamrock necklaces that I cut up. 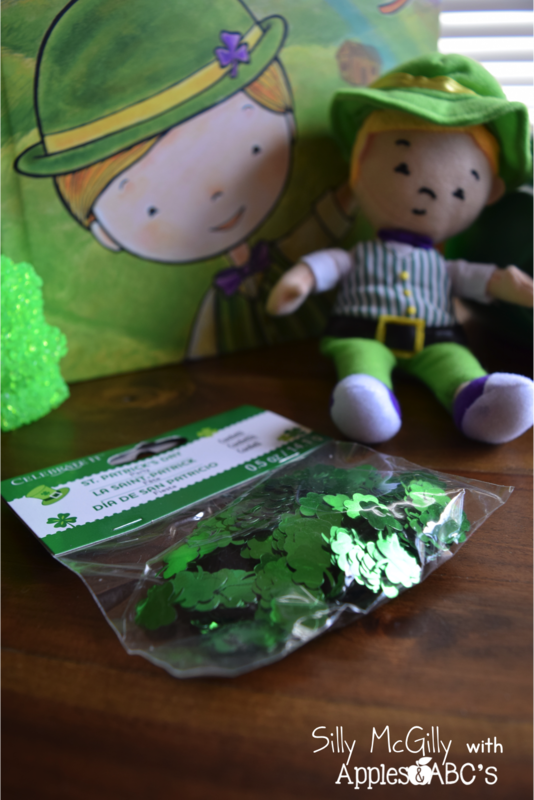 I bought these from the Dollar Tree and just cut them at different lengths. The students pick a strand, count them, and write the number on a whiteboard. You could have them make addition sentences too, if they are ready for that! 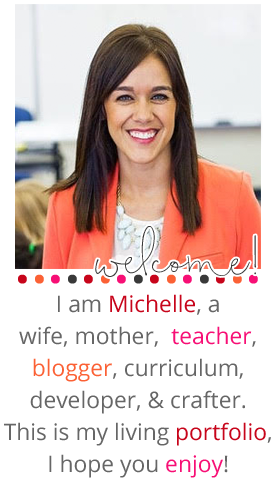 The most exciting part of this post is that you can enter to WIN a Silly McGilly for your own classroom!!! Enter to win below. I had to show you this picture.... I was photographing Silly McGilly and Hercules wanted to play with him SO BAD. In our house, any stuffed toy belongs to him. He couldn't understand why I wouldn't give it to him! 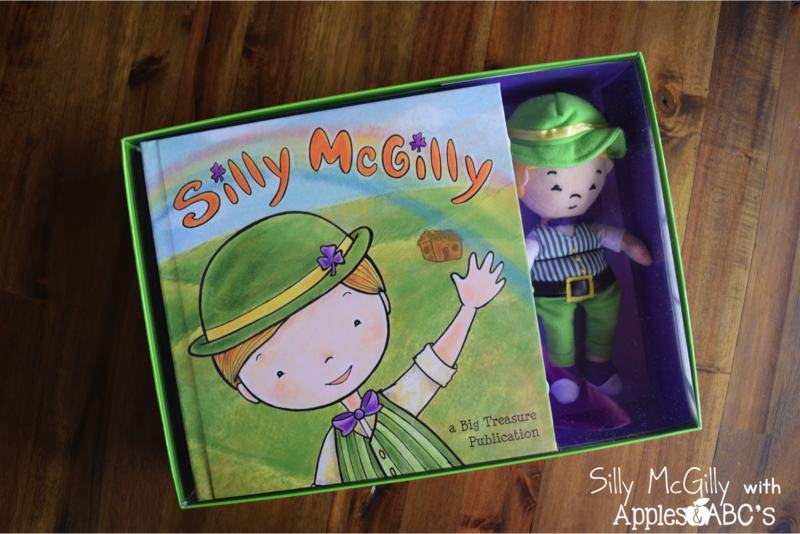 To learn more about Silly McGilly click here! I am following. Thanks for the freebie! 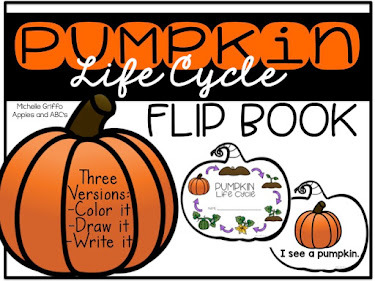 I think my students would go crazy over this little guy! They weren't really "in" to the elf because he was old news and not a threat for behavior. I love the idea of the Leprechauns playing tricks and bringing things. 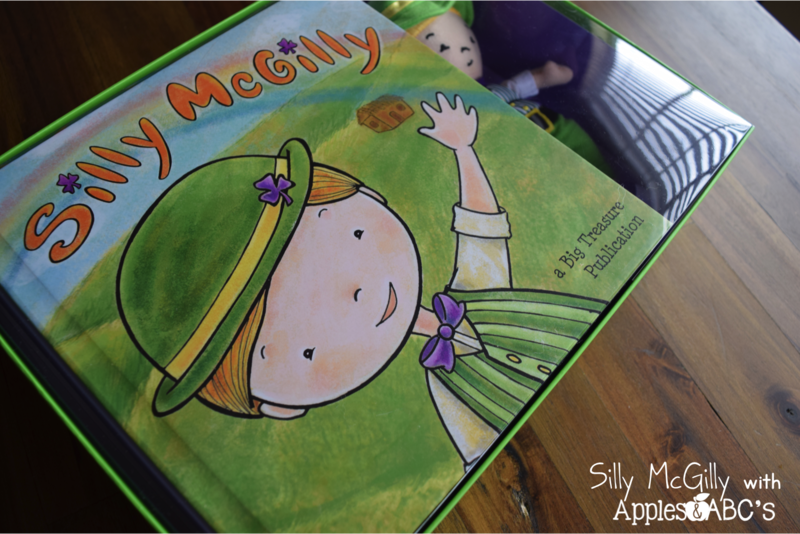 I cannot wait to introduce Silly McGilly to my firsties! 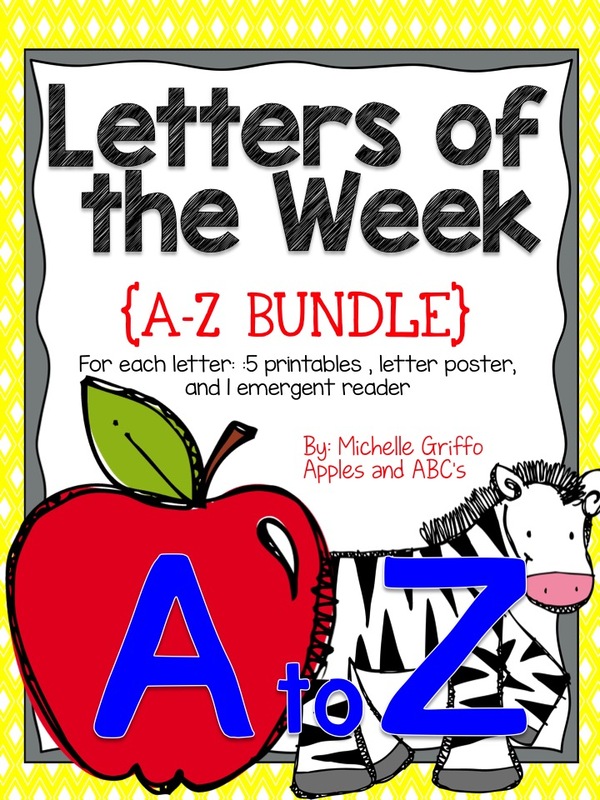 Awesome ideas and resources! I am a follower! This is great! 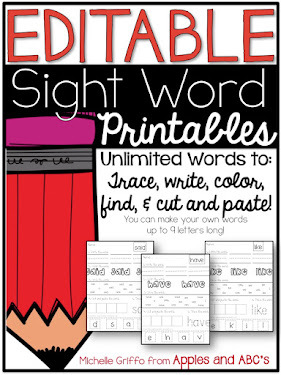 I wish when I had my preschool I had resources like this to get great ideas! Now I research and love to see what ideas are new and I love to share my ideas as well! 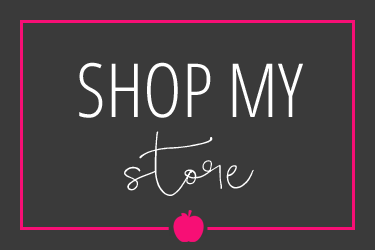 I am follower 7044 in your store. Went to an incredible Torrance dentist a week ago, scheduling an appointment was extremely simple with them and if you have a crisis situation, then they strive to see you ASAP. The most astounding of recommendations for them. 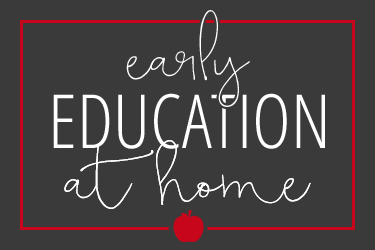 The more young learners are engaged, the more effective learning process will be!Many thanks for a fabulous post! Our paper writing service works 24/7 to support you with professionally written essays!